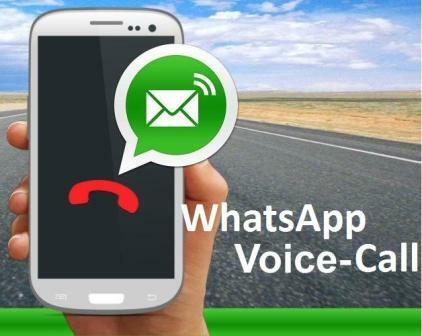 Home Internet How to Activate calling Feature in WhatsApp! 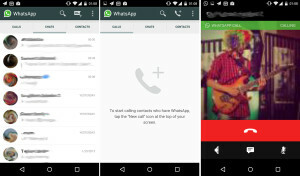 How to Activate calling Feature in WhatsApp! Hello WhatsApp users now you can use WhatsApp not only to send and receive messages but also call your friends. Yes, Few weeks ago, WhatsApp begun to rolling out calling through their app to a few users. It appears today, WhatsApp has launched Calling feature to everyone. How to Activate calling Feature in Whatsapp? To get calling feature activated in your WhatsApp account, you need to get updated to the latest version of WhatsApp that is WhatsApp 2.11.531, After Updating to the latest version, you can’t get the calling feature Lol! 😛 . The only way to get the calling feature is you have to get a call from a user having Whatsapp with calling feature. Once he called, your WhatsApp will ask you to get update to the latest version. Once you got updated, you’ll get the calling feature. Hurray!!! The WhatsApp calling feature doesn’t requires Android Lollipop. It also works on Android Kitkat. Use 3G or 4G LTE for better Performance in Voice calling. Previous articleBrowser Shortcut Tips and Tricks to Make your Works Faster!